Michael Chase is a twenty-six year old backpacker, a recent college graduate, an amateur. He flew to Hong Kong to find his missing father. Four hours later, he's running for his life. The Chinese Secret Police want him dead. The Conspiracy wants him dead. And the one person who he thinks is on his side, may want him dead too. If Michael is going to live, he'll need to find a hidden piece of Nazi technology lost since World War II. And he'll have to do it before anyone else. Because if he doesn't, a little plutonium is going to be the least of his problems. 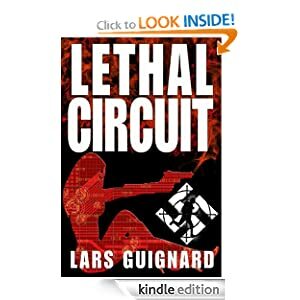 If you can't get enough of the action of Lee Child and Vince Flynn, the intrigue of Robert Ludlum, and the adventure of Clive Cussler and James Rollins, you are going to LOVE Lethal Circuit!